Countertop Comparison Chart - Find The Best Counter tops In Your Barbados Kitchen | Fiberpol. Inc.
At Fiberpol, Inc., we have a wide variety of countertop materials to choose from. It can be difficult to decide which option will make the best kitchen countertop or work top in your home or business. 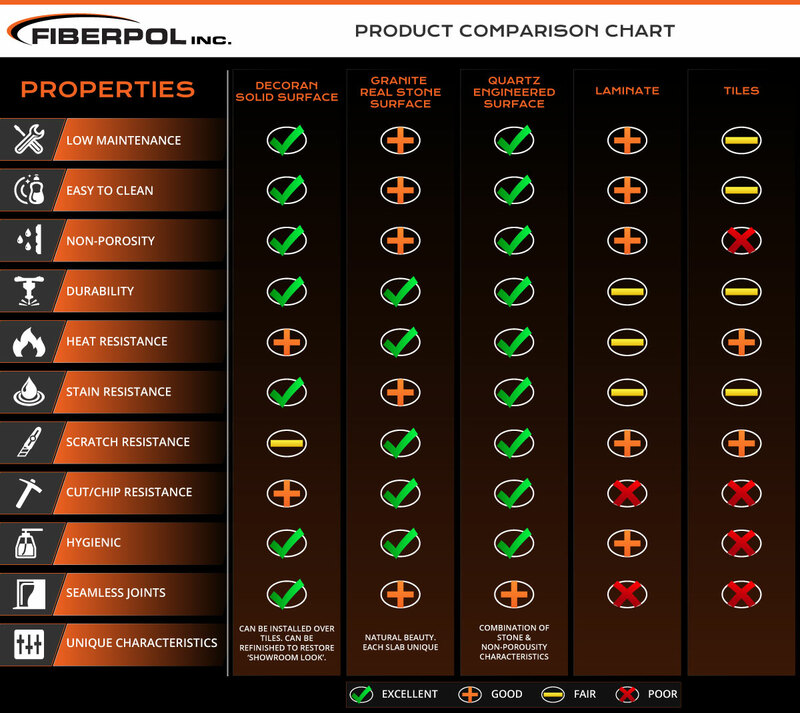 Our handy product comparison chart will give you the basics on each type of countertop material, making it easier to find the right option for you. If you need further assistance in your decision, please give us a call today! We are always happy to help.